This photo was taken for the new Robocop movie coming out. As you can see, the newly designed suit is not unlike the redesigned Batman suit of Nolan’s series of films. I’m not exactly sure what prompted the need to be different from the old silver suit worn by Peter Weller before Robert John Burke. The original Robocop was a strange, interesting conglomerate that satirizes commercialism, discussed unionization of police forces, internal corporation rivalry and exposed a world where the line between government and corporation was thinning. The financially strapped city government hires OCP, Omni-Consumer Products, to contract out the police force as a cost saving measure. OCP in turn, looks for ways to automate the labor, resulting in the revivial and cyborgization of one Alex Murphy. The second movie was different on many levels, and in some ways is more interesting to talk about. The CEO of OCP had a new vision for how to handle Detroit: privatization. Basically, that meant turning an entire city into a home owner’s association. With the Detroit city government growing closer to defaulting on its debt to OCP, taking over of the city somehow becomes a possibility. Apparently, seizing a government somehow includes seizing everyone’s private property as well. Yeah, I don’t think that’s how the law really works. This vision for Detroit can be seen as benevolent, but flawed by its methods. If they explore it again in the new movies, it would be a great way to shake up the tiring “profit hungry corporate mindset” of a villain. With the police force still on strike against OCP, the corporation needs new volunteers to produce a bigger and better version of Robocop, their one success in a sea of failed prototypes. 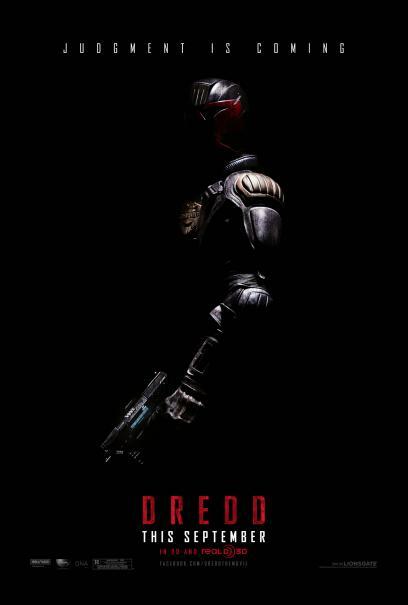 When Robo’s war on drugs happens to put drug lord Cain in police custody however, an OCP executive sees a chance to produce to a new prototype that she can control. Themes of the drug war, gentrification, public budgetary concerns and corporate image were all present, but these themes were not well explored. The third involved a corporate take over just as OCP moves to seize control of Detroit. It involved robot ninjas. I think I’ll leave it at that. Robocop, formerly Alex Murphy, is a product of his setting. The world of Robocop’s Detroit is not unlike modern life, but differs on a simple key point. In reality, the government often comes after corporations waving a stick, and corporations in turn lobby and strike a deal (more often to their, not always our, mutual benefit) to calm the bureaucrats down. In Robocop’s world, the corporations have somehow near fully reversed the bureaucratic-food-chain, and have the government by the cojones. In this shaky situation, a figure like Robocop can have dozens of variations, as he tries to walk a line between respect for private rights while upholding the public good. While justice is a rock, hard and unyielding, law is the wind, changing direction to match the times, so what is to be done in the face of sometimes contradictory legal arrangements? And the question must be asked as to whether he is man or machine by legal definition, for the outcome of which defines him as person or property. In the second movie, others resisted becoming a robot cop. But Murphy survived the complexities of his psychological arrangement in that his original raison d’etre was to be a cop and a believer in law and order to begin with. But that is not to say he didn’t have his own internal struggles as his directives conflicted with his past life as father and husband. There is a lot of depth here to explore beyond the ultra-violence of the original comics. And to that effect, the new Robocop movie seems to have enlisted some intriguing talent. Gary Oldman, Samuel L. Jackson and Michael Keaton are all thrown around on the IMDB listing. But the titular role is left to Joel Kinnaman, formerly of AMC’s The Killing. 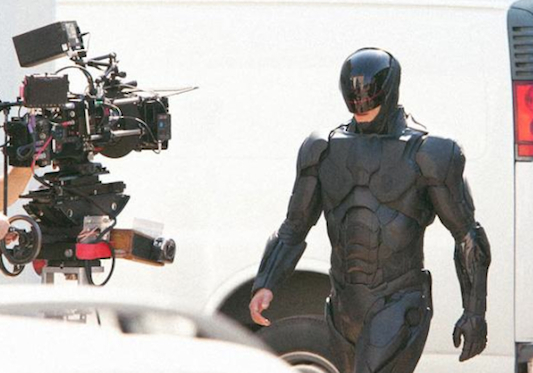 I certainly hope they intend to Nolanize the Robocop series, at least in the psychological way. But I do miss the familiar silver suit of the Tin Cop. "By the time you finish reading this blog, you'll realize that it has almost nothing to do with me. But thanks for coming out." “Hey, get up. Stomach says he’s empty,” Brain told me. “Curse you and your flawless logic, Brain!” I screamed as I got up. So why was Brain pounding at my head? You see, I originally went to happy hour with Fernando, expecting it to last until about 7. I would have a few drinks, go home and work on my Vengeance Launcher skills in Space Marine. Instead, Darpan, Tim and Paul showed up and I was impressed into Fernando’s… Army of the Night. And then we [Error 404, memory corrupted due to over consumption of alcoholic beverages]. And then I woke up. So there you have it folks. I do have a life. I think. Moving along, I reconnected with a chum of mine. Kristen had been absent for too long until I found her on Google+ and added her to my circles. She too had been sick with what she dubbed, “the crud.” A fine name. Who bothers to study the myriad of symptoms to figure out if the most recent of trendy fashionable illnesses are a cold or a flu? “The crud” is as fine a name as any. After all, she’s an expert in nameology. 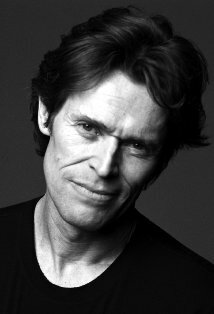 Just like Willem Dafoe. Man, Dafoe is the pine nuts of the movie industry. He goes with everything. So back to writing, I finished yesterday with 12860 words towards my submissions. That’s a nice chunk of characters and already over half my goal of roughly 25,000 words a month. The new piece I’m working on excites me though. It’s a present day crime drama that mingles a few comic book elements into it without going overboard. 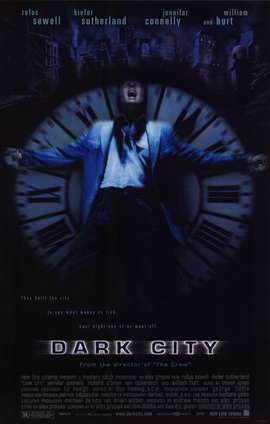 Kind of like Christopher Nolan‘s take on the Batman series: edgy with a focus on the characters, themes and psychology. But nothing supernatural. In one sitting, I tacked 3,300 words into it. So now I’m worried that it could go very well passed the average length of a short story and become a novella, which would make publishing it… tricky. Welp, that’s all for now. Your lucky numbers are 5, 17, -2 and π. Oh, and remember when I named this blog “The Night of Willem Dafoe”? Coming to theaters on September 9th, 2011. 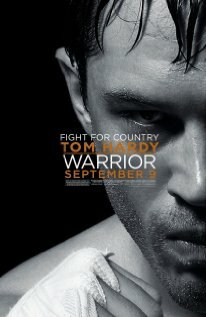 Thanks to Gofobo.com, I got my hands on advanced movie screening tickets for Warrior, which doesn’t come out for another two weeks. I didn’t know much about it other than the fact that it involved two brothers and a Mixed Martial Arts (MMA) fighting tournament. I didn’t realize it at the time, but I was in for a treat. Paddy Conlon (Nick Nolte) is a former Marine and former alcoholic, now sober and sorry for past abuses towards his two sons and wife. One day after church, Paddy’s youngest son and wrestling prodigy Tommy (Tom Hardy) returns out of the blue to have a father-son chat. Meanwhile, Paddy’s eldest son Brendan (Joel Edgerton) struggles to make ends meet while working as a high school physics teacher. Brendan and his wife Tess (Jennifer Morrison) work three jobs between them and are still dangerously behind on their mortgage. When Brendan moonlights as a prize fighter for extra cash, he is swiftly terminated from his teaching position despite the best attempts of principal Joe Zito (portrayed by the always likeable Kevin Dunn) to prevent it. Tommy takes up training again at a local gym where he floors a local contender for an upcoming Sparta tournament and impresses the gym owner. But when both Brendan and Tommy learn about the tournament however, anyone can see their fateful collision course. The movie mixes two genres strangely but fairly well, being both a sports martial arts movie and a family drama. Many modern martial arts movies do this to some degree, such as the Rocky series or Cinderella Man starring Russell Crowe and Renée Zellweger, but always between husband and wife. It certainly shares a strong kinship with The Fighter starring Mark Wahlberg and Christian Bale, both movies being family dramas on top of prize fighting. But the fighting in Warrior is simply a byproduct of the strife and struggles the characters face. This fight of brother against brother was probably going to happen sooner or later, while the themes of this film were not as discrete as they were in The Fighter. The directing deserves a respectable nod for its careful application of blue lighting and the right mix of sports event cinematography to regular camerawork within the story. The plot throws in plenty of twists and turns as details surrounding the characters’ pasts are revealed. There are no bad guys in this movie, and you don’t know just who to cheer for as you reach the end. Still I have to strike a few points for two things. First, the lack of blood and bruises. This was probably a conscious decision to keep the PG-13 rating and relax people who do not like on screen gore. Maybe a director’s cut version will solve this, but the beatings these guys took seemed less intense without massive post-fight shiners. The second was the application of a few over emotional factors, like the ending music and the military chorus. Gavin O’Connor, who makes a cameo appearance within the movie as tournament founder J.J. Riley, was banking on some patriotic military appeal. Which is fine if it were a touch more subtle. I also wonder if O’Connor was playing with the idea of an alternate ending, and is in fact doing these screenings to gauge audience reactions to the decide on which to use for Warrior‘s release. But the acting in this movie is outstanding. All of the actors, both major and minor, manage to subtly blend this chemistry on screen, letting you easily pick up the friendships and the rivalries. Everyone is on point, mixing the smiles and rib poking with checked frustration and unfinished business. Praise is due to Jennifer Morrison for overcoming the stereotypical worried wife that we’ve seen with Zellweger or Talia Shire, who played Rocky’s Adrian. Instead of the hysterics and tears, Morrison puts on a performance of pouted-lip resignation when she sees she cannot change her husband’s mind. But this blossoms into amusing antics, such as spending the entire day watching her cell phone for news and pretending not to be worried. Nick Nolte’s character is pitiful to watch: humbled before God and trying to make amends, however unwelcome, with his two sons. Although infinitely patient with his angry children, his rambling character manages to jerk sympathy where none is likely deserved. It’s perhaps unfair to judge him because we only see the echoes of who he was and the results of his actions. Joel Edgerton successfully combines both brains and brawn with his character’s esoteric background, indirectly luring his students into cheering for him as the guy they all want to be. But the real spot light is on Tom Hardy, who is phenomenal. Hardy has completely replaced the charming Eames of Inception with Tommy Conlon. The loveable accent is gone and in its place is something from the rougher side of New Jersey. Instead of charming wit, we have Tommy’s checked fury which creates an atmospheric tension so thick, it chokes you. But never does it get out of control. It just broods in a menacing hulk of a man but never explodes outside the ring. To be put in the same room as this man would probably terrify you, if only quietly. And best of all, Hardy proves beyond the shadow of a doubt that Christopher Nolan‘s decision to cast him as Bane in the upcoming film The Dark Knight Rises was no mistake. Tom Hardy could easily be an action movie star as huge as Arnold Schwarzenegger or Sylvester Stallone, but also fully capable of acting and portraying a deep role. His pairing with Christian Bale will be legendary. Warrior is a solid flick with appeal enough for everyone. Check it out, if only to pump yourself up for next summer.